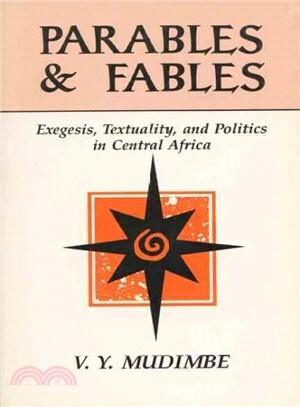 This remarkable book confronts the philosophical problems of otherness and identity through readings of the parables and fables of a colonized people, the Luba of Zaire. V. Y. Mudimbe poses two overarching questions: how can one think about and comment upon alterity without essentializing its features? And, is it possible to speak and write about an African tradition or its contemporary practice without taking into account the authority of the colonial library that has invented African identities? Mudimbe brings unusual insight to such a discussions: “Here I am on the margin of margins: Black, African, Catholic, yet agnostic; intellectually Marxist, disposed toward psychoanalysis, yet a specialist in Indo-European philology and philosophy.” He uses his own education by Catholic missionairies in Zaire as a framework for exploring interactions between African and Western systems of thought. Mudimbe examines the relationship between God and human beings in the philosophy and mythology of the Luba and sets this against the background of Western, particularly Catholic, theology. He introduces the problematic of religious “revelation” as political performance and situates it within the African colonial context. He analyzes the development of Francophone African “philosophy,” showing its integral connection to African theology as envisioned by Catholic missionaries in Central Africa. Mudimbe then reviews some of the parables of mythical founding events that have led to the concept of an African philosophy and theology. Continuing this exploration, Mudimbe elaborates and comments on the well-documented case of the Luba, clarifying how Luba social and cultural reality relates to Luba mythology as set down by ethnographers. The final chapter is an exchange between Mudimbe and anthropologist Peter Rigby, evaluating the possibilities of a Marxist anthropology.